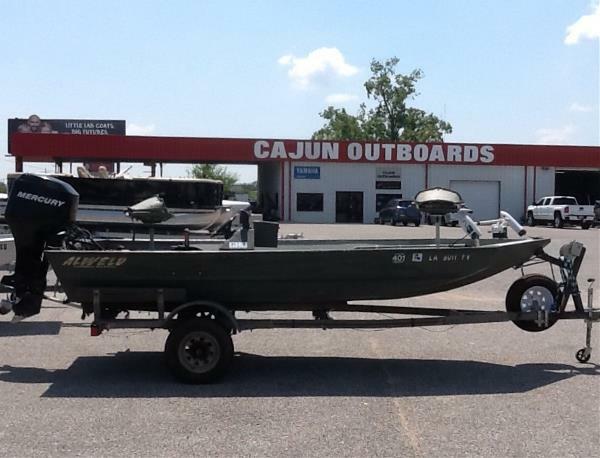 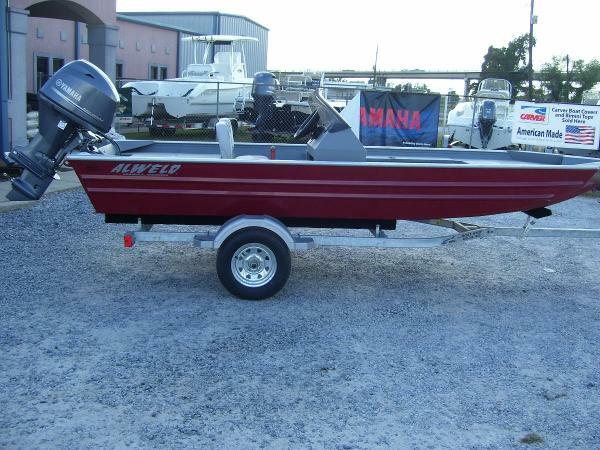 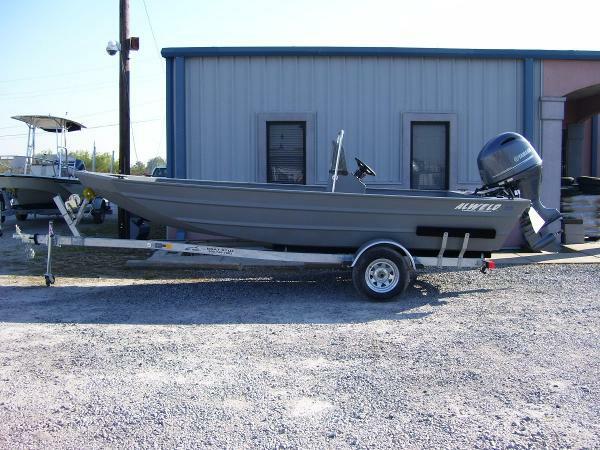 2017 Alweld 1552 VV CC Marsh New Alweld 1552 Center Console with Steering, Windshield and Grab Rail, Aluminum Transom, Alumn Flooring with Sides, Rear Deck, Storage in Bow, Trolling Motor Bracket and Wiring, Navigation Lights, Yamaha F40LA with Power Trim and Tilt, EFI, Four Stroke, 6 Gallon Fuel Tank, Cranking Battery and SST Prop on Magic Tilt Galvanized Trailer. 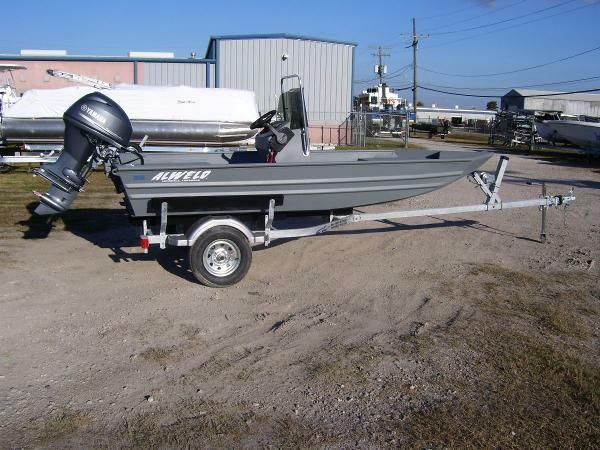 2016 Alweld 1860 Bay New Alweld 1860 Bay Center Console Rigged With a Yamaha F115HP, SST Prop, Tachometer and Fuel Gauge, Magic Tilt Galvanized Trailer, 30 Gallon Fuel Tank, Fuel Water Separator, Bilge Pump, Navigation Lights, Hydraulic Steering, Livewell Seat in Front of Console, Grab Rail and Windshield, Front Locking Storage, Aluminum Flooring and Sides with Non Skid Deck, Water Ready. 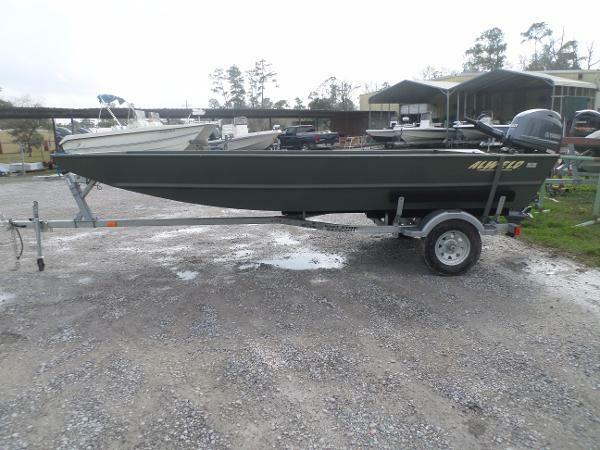 2017 Alweld 1752VVSC Alweld 1752 VVSC with Side Console, Windshield, Steering, Switch Panel, Navigation Lights, Bilge Pump, Rod Box, Livewell, Locking Storage in Bow, Pre Wired for Trolling Motor, Yamaha F50LB, Four Stroke EFI Outboard with Tachometer, Control Box, SST Prop, 6 Gallon Fuel Tank, Magic Tilt Galvanized Trailer.